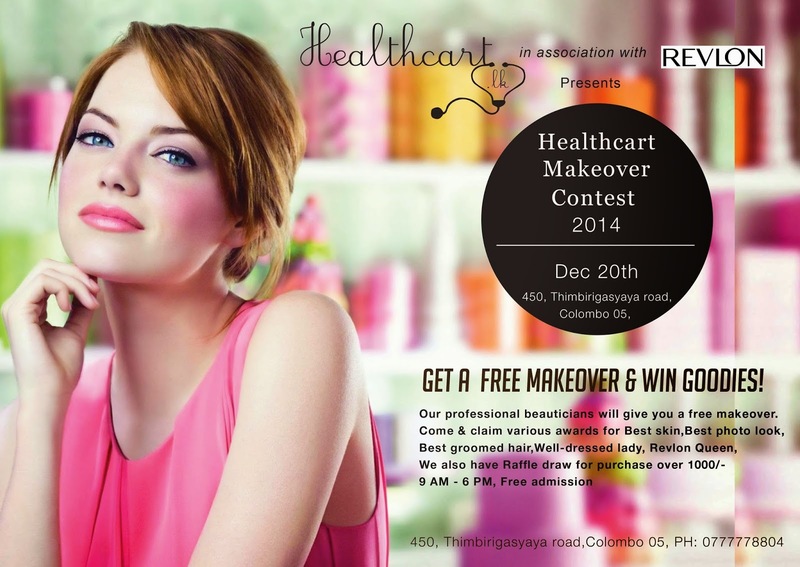 Get a FREE Makeover done and win tons of goodies featuring healthcart.lk & Revlon! Here is something interesting for you ladies in Srilanka! Healthcart.lk and Revlon lanka have come together to bring a fun event where you can head over to the Healthcart outlet located at no 450, Thimbirigasyaya road, Colombo 5 and get a FREE clean up (courtesy of a well known beautician/salon) as well as a nail art, skin consultation and make up. Off all the participants a number of you would be selected and given the awards of best photo look, best skin, best groomed hair, well dressed lady and Revlon queen at an exclusive event organized on the 25th of December to receive a hamper courtesy of healthcart.lk and Revlon Lanka. Check out the Picture below ladies! And don’t forget to spread the word!